Strangeness is afoot over on Steam, where David James (Orion dev, not former goalkeeper, and real name David Prassel) is claiming that a DMCA from Activision has resulted in the dinosaur game being pulled from Valve’s store. He makes this statement on the page for Orion: Prelude, their latest title, which is still present on Steam. DMCA’s (Digital Millennium Copyright Act) relate to copyright law, and in this particular case it’s indicated that Activision (or lawyers working on their behalf) were unhappy with similarities between a couple of weapons. Pretty serious accusations, and ones which the Orion developers call “erroneous”. To back up their argument, they link to two comparison pictures showing the weaponry in question and … well, yes, apart from being guns they don’t exactly look too similar. “This is extremely serious that a DCMA request has removed our entire game from sale, during the biggest sale event of the year. Apparently no cross-checking was done by our Partner, who we’ve been with for over 5 years and I have seen better and would expect better from them. At minimum, to contact us regarding our assets/defense before taking any action,” Prassel adds. 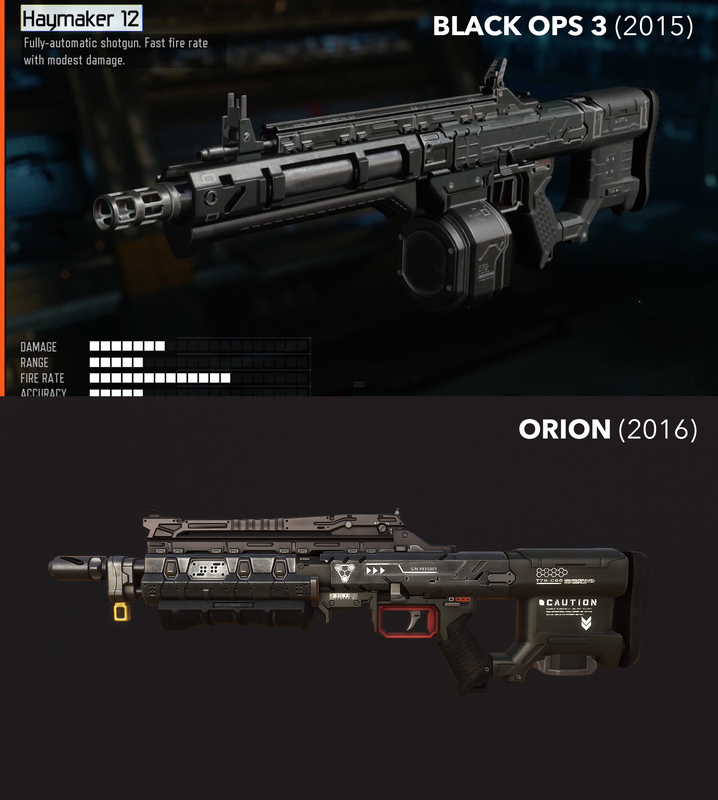 Update 27 June: A Reddit post drawing comparisons between one of the guns in Orion and several parts of some Call of Duty weapons makes a much more damning case than the images originally presented by David Prassel. That’s … starting to look much more like Activision had a case. 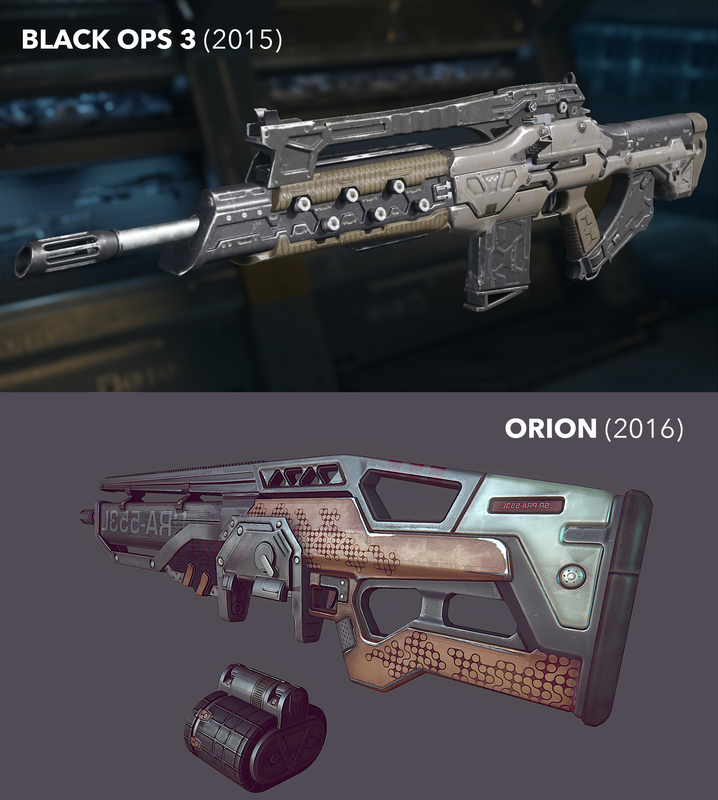 Whether the correct resolution was to use a DMCA to remove a game from Steam without much prior warning is another matter, but this isn’t looking so good for the Orion chaps (or whomever modelled their weapons, specifically). Update 2: Right, these guys (formerly Spiral Games, now Trek Industries) have a long history of probable asset theft (that one was nicked from Natural Selection 2). Activision appear to be the unwitting heroes in this story after all.